Here you can find all my current product offerings. To get a more detailed description, click on the “Learn More” button at the end of each product description. If you need assistance, just email us. 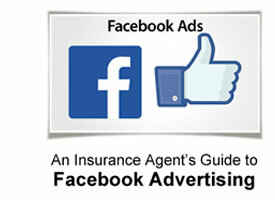 Advertising on Facebook helps businesses meet new customers and stay in touch. Most online advertising reaches only 38% of its intended audience. Facebook’s average is 89%. With the tools you’ll learn in this eCourse, you can maximize your Internet presence, get more Likes, and sell more product by using Facebook Advertising. Email is one of the biggest productivity drains in an insurance agency today, if not the biggest productivity drain. But the problem with email is not email. The problem with email is that most people have not learned how to effectively manage their email. When it feels like the tail is wagging the dog, it’s time to do something about it! 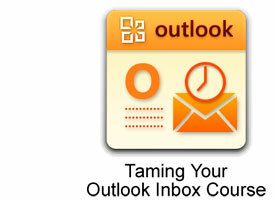 That’s why I created an online training course for agency staff called “Taming your Outlook Inbox” that will train you step-by-step on the best ways to gain control over your Outlook inbox again. Now, more than ever before in the insurance world, LinkedIn’s networking, referral, and moneymaking opportunities are vast for insurance agents, if you know how to use LinkedIn correctly. LinkedIn can single you out as being the best provider of the insurance services your prospect is looking for – almost invisibly blowing your competition out of the water. 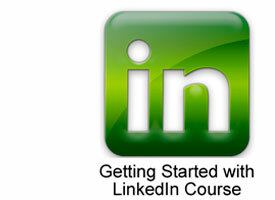 This course is specifically designed to take you step-by-step through the process of setting up and maximizing LinkedIn. No time for a face to face meeting with Steve? A phone consultation is a great way to get the same undivided attention and expert help at a very affordable rate. 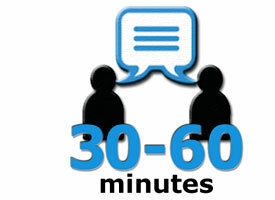 Choose between 30-minute and 60-minute phone consultations and find the perfect time for you. Personal lines business is what it’s all about, and you know the challenges you face every day trying to grow that book of business. Struggling against the massive marketing operations thrown at the business by the likes of direct writers and captive companies, how can a small local agency expect to compete? 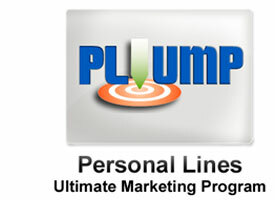 Steve Anderson and Ross Dik, an independent agent in Massachusetts, have developed an incredible new tool called the Personal Lines Ultimate Marketing Program (PLUMP) that will take you through a step-by-step plan for creating a successful and sustainable program to maximize the revenue generated by your personal line book. 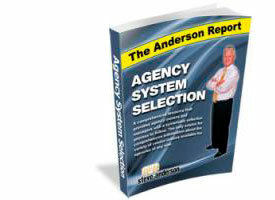 Picking the right agency management system is one of the most important business decisions you will make. 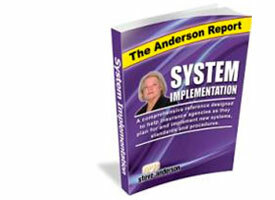 Pick the right system and your agency can flourish. The consequences of not choosing the right system are difficult at best and, at worst, could be catastrophic to your organization. Your agency may never recover from the lost productivity and lost profits from a bad decision. This ebook shows you the foundational information and specific steps you need to take in order to choose the very best product for your agency. While it is vitally important to spend the time to select the correct systems for your agency, it is equally as important to spend the time and resources to make sure the selected system is properly implemented. Pat Alexander speaks from years of experience in helping agencies sort out what all went wrong after the fact. In this ebook, Pat shares the foundational information and specific steps you need to take in order to have a positive system implementation in your agency. Agencies pay Pat thousands of dollars to guide them through this process. Now you can get this information for a fraction of the cost. Innovation moves an agency beyond what’s known to work to come up with something new that works even better. As a member of Beyond Best Practices, you will learn how to craft fresh approaches to your products and services that your competitors do not use. You will learn how successful agencies decide which “best practices” to follow and which to disregard. The gains realized, and how you can encourage innovation within your own organization and team.